Pastors and Leaders' Retreats, Men's and Women's Retreats, and more! Camp Caz currently offers 100 beds across 14 cabins, a spacious dining hall, cozy lodge, and conference room. The hillside Chapel is newly renovated and the Prayer Garden boasts exotic birds and a fireplace. Water fun in Austin Creek, basketball, volleyball, and archery are just some of the outdoor activities to enjoy. At night, gather 'round the iconic fire pit. Roast your marshmallows or just count the stars glistening through our Redwood treetops. Check out all of Camp Cazadero's amenities and camping possibilities at www.campcazadero.org. 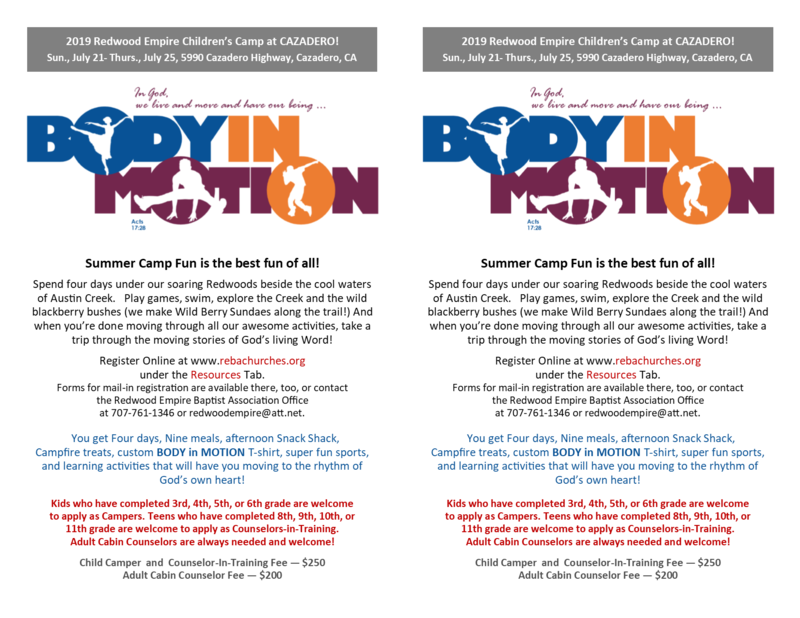 or Plan Your Own Special Camp Event! 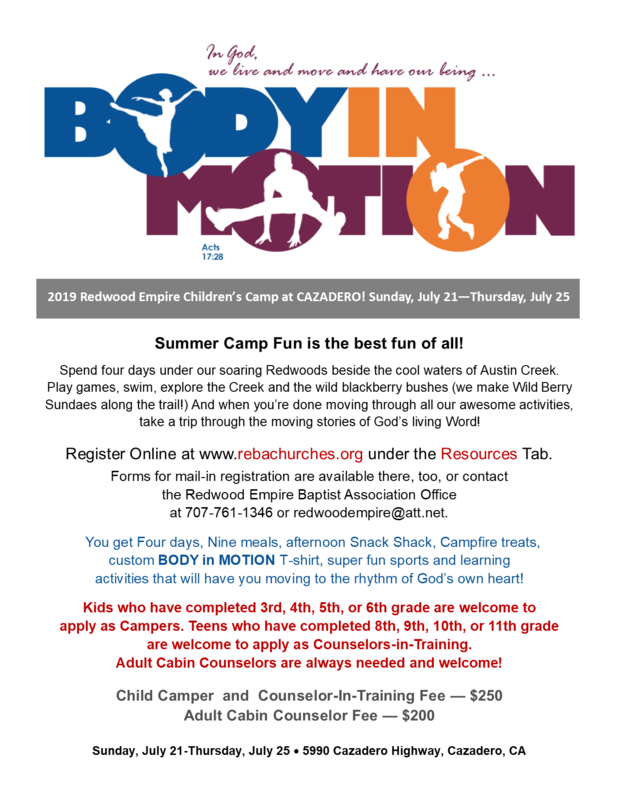 Kids who have completed 3, 4, 5, or 6th grade are welcome to apply to be Campers. Click HERE for Online Registration. Teens who have completed 8, 9, 10, or 11th grade are welcome to apply to be Counselors-in-Training. Click HERE for Online Registration. Adults applying to be Cabin Counselors are welcome to apply. Contact Paul and Loretta at campcazadero@comcast.net. Paul and Loretta know the camp inside and out and can help you envision any kind of retreat, special event, or weekend-in-the-woods you have in mind! Click on the link below. Hear Pastor Rick Warren tell about his defining decision to serve Jesus at Camp Cazadero, and why supporting Camp Cazadero is a great investment. The video is password protected. When prompted, use the password Saddleback! VIDEO LINK to Rick Warren. Brian serves the camp as a board member and camp ministry advocate.